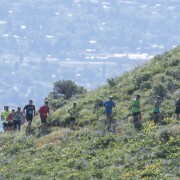 Running through the meadows to the mountains. 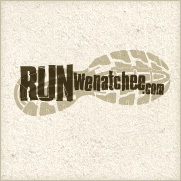 The weather has been hot in the Wenatchee Valley! To avoid fizzling on your runs, there are a few options. If you want to stay in the valley, get up early before the temperatures rise. If you’re not a morning person, consider going for a late evening run when the sun has dipped over the horizon. If you are open to driving, get up to higher altitudes! For every 1,000 feet gained, you will likely see a roughly 5 degree (Fahrenheit) decrease in temperature. 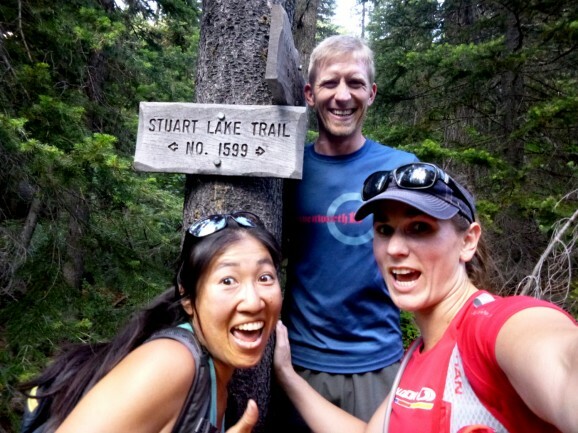 The Stuart Lake Trail is one of many trail runs in the area that is ideal in hot weather. It runs next to a creek, stays in the shade, and sits at a much higher altitude to afford you cooler runner temperatures. Hitting it later in the day (after 4 p.m.) will make things even more enjoyable. 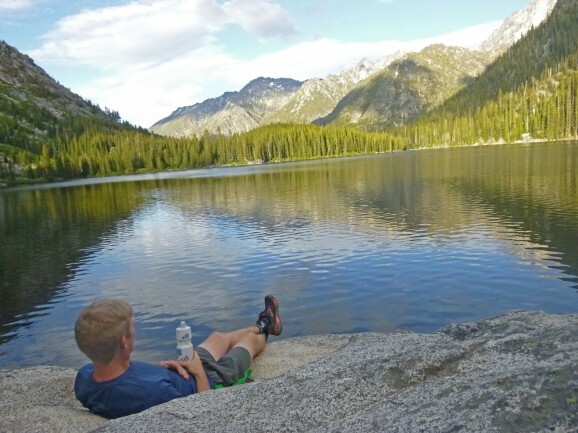 As a 10-mile in-and-out run with 1,165 feet of elevation gain, you’ll get a great workout, see fantastic views of the Enchantments and have a refreshing glacier lake to look forward to after your journey. Brett, Sarah and Amber getting psyched for glacial lakes and mountains! The first time I attempted this route, I was alone and met a bear on the trail. A little freaked out, I turned around and decided this one was better with friends. A few weeks later, I invited a couple friends to join and we went out to experience a great trail at the end of the work day. Joining me was Brett Kokes and Sarah Buman. An example of the technical running surfaces. 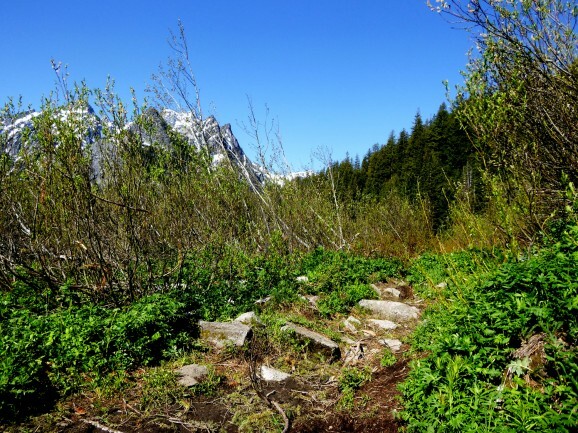 The trail starts at the Colchuck Trailhead, and begins the same way as the Colchuck trail. As you begin, the trail climbs steadily. Trail surfaces include rocky and rooted terrain, big rocks, well groomed hard packed dirt and a couple of little stream crossings. 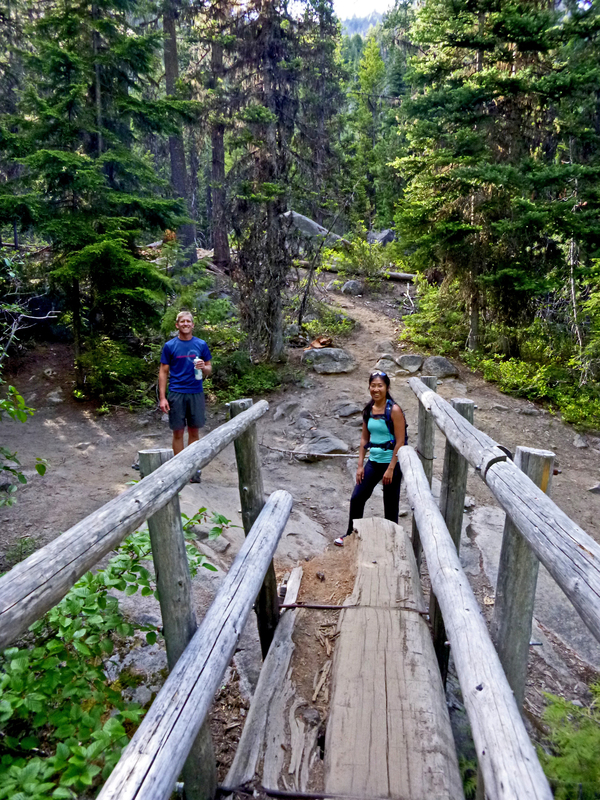 At approximately 1 mile, you will cross a quaint little bridge that marks the beginning of a steeper climbing section. After about another mile, the climbing will be over (for the most part) and you will hit a the Y junction for Lake Stuart. Heading through the flats up to Stuart Lake. 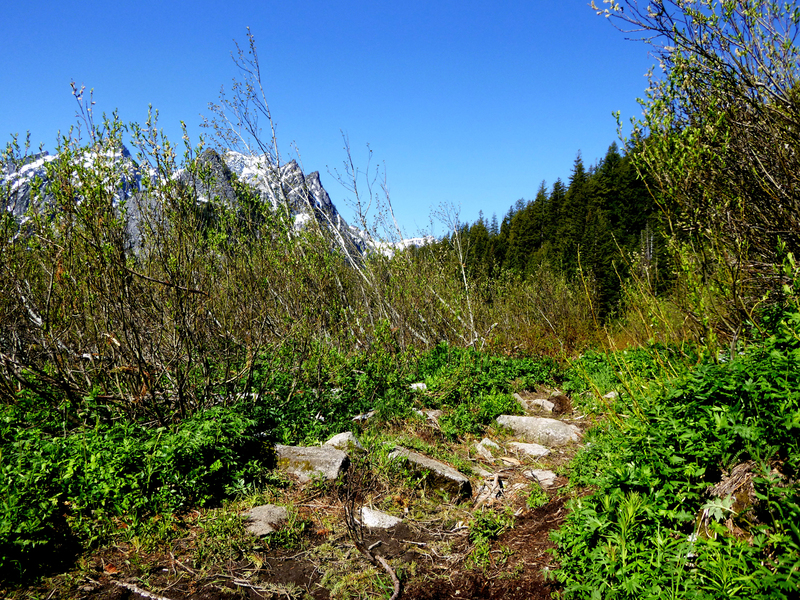 If you take a left, this will bring you up the steeper trails to Colchuck Lake. Keep right and follow the Stuart Lake Trail. You will encounter enjoyable flat terrain that meanders through Ponderosa Pines, dense underbrush, muddy bogs, and over small meadows. In just under a mile, you will emerge from the forest to an amazing view of the Enchantments that literally pops out of nowhere! The knockout view that comes out of nowhere! These mountains are proud, beautiful, and will leave you awestruck. Every time I do this run, I stop to take in the beauty of this scene. Framed by a lush meadow with heavy undergrowth, berry bushes and remnants of what looks like timber felling, these mountains rise up with their granite grey and white undertones, contrasting with the crisp blue skies. It’s a wonderful sight that makes this run worth the drive, time, and effort in every capacity. The only downside to this sight was the mosquitoes that like to take a drink if you stand too long. Continuing on, you run through the woods a little big more until you get to another smaller climb to an amazing glacial lake! Stuart Lake — your reward! 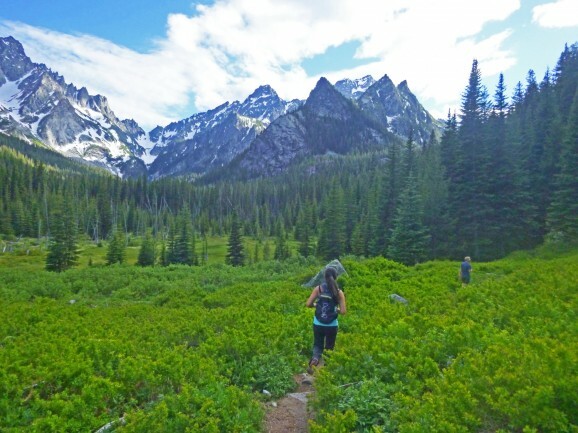 As you ascend the last few hundred feet, the trail spits you out into a scenic amphitheater that has you dreaming up new adventures as you look up towards the mountains, reflecting off the serene lake below. The best part — this lake is warm! Given its shallow, and thus warm nature, jumping in for a victory swim is a total necessity. Relaxing after reaching the lake. Taking a stroll around the lake will afford you the luxury of seeing all the potential places to nap, relax, and get in touch with nature. A warm granite slab that sits above the water provides a fantastic seat and resting place to take in the sounds of the birds and insects around you. In combination with the shade and warming sun, I promise an ample reward for all your hard work. 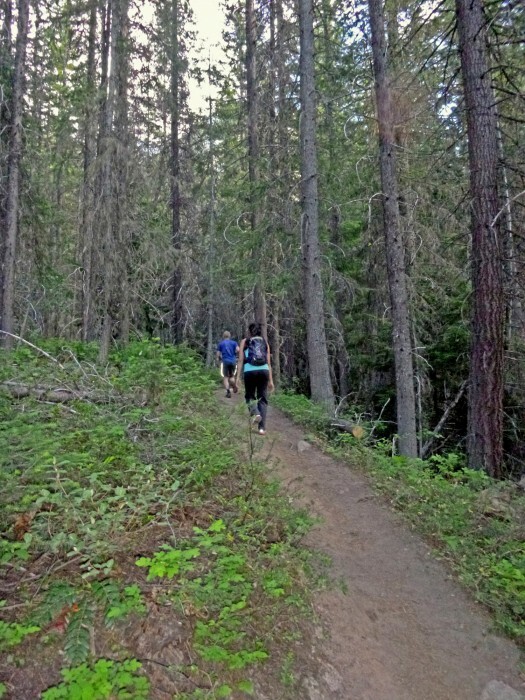 Once you’ve finished your relaxation, head on back down the trail — just the way you came up. Overall, a great run for hot days, beautiful views, a warm glacial lake to swim in, and the opportunity to work out and get in touch with nature. 1. 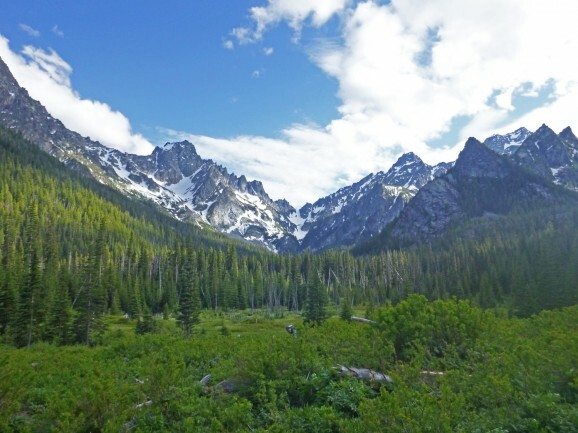 Follow Highway 2 west toward Leavenworth for approximately 18 miles. 2. Once you get into the town of Leavenworth, drive through it. At the end of town (before Tumwater Canyon), you will see Icicle Road. Take a left here. 3. Follow Icicle Road for 8.4 miles. 4. You will drive past Eightmile Campground. After this, make a left onto Eightmile Road (NF 7600). 5. Follow this road all the way to the end. 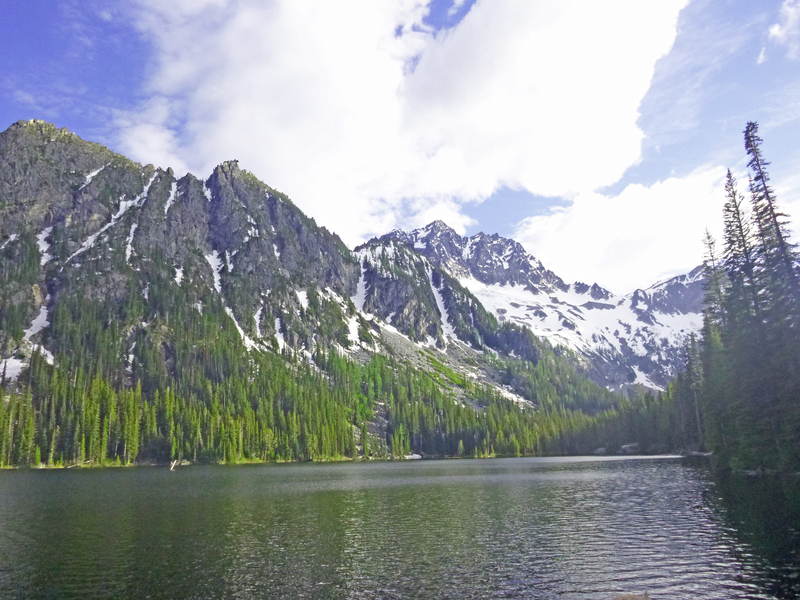 Pass the Eightmile Trailhead to park at the Colchuck Lake and Lake Stuart Trailhead. Now that you know of a place to go when it’s hot — you have no excuses! Get out and enjoy the day!